Condition is New. LEGO 31313 Mindstorms EV3 Robot. Combining the versatility of the LEGO building system with the most advanced technology we've ever developed, unleash the creative powers of the new LEGO MINDSTORMS EV3 set to create and command robots that walk, talk, think and do anything you can imagine. Turn to the Dark Side with the LEGO Star Wars 75227 Darth Vader Bust! New LEGO Star Wars Darth Vader Bust. Great addition to any LEGO Star Wars collection. Care & Cleaning: Spot or wipe clean. Language: English, French, Spanish. Turn to the Dark Side with the LEGO Star Wars 75227 Darth Vader Bust! New LEGO Star Wars Darth Vader Bust. Great addition to any LEGO Star Wars collection. New LEGO Darth Vader Bust Helmet 75227 Star Wars 2019 20 Yrs Target Exclusive!!! New LEGO Star Wars 75227 Darth Vader Bust Helmet 2019 20 Yrs Target Trusted seller. Ships with care. I'm hoping to use funds generated to build my 13-foot Super Star Destroyer. BONUS: Included are now the HTML instructions for constructing the Imperial Star Destroyer. I'll also include each of its 10 distinct sections (left wing, bridge, etc) for easy reference. New ListingLego Star Wars 75252 Darth Vader’s Castle New Sealed Nice 1060 Pieces!! It’s only being made available in Panama. Trending at C $233.99eBay determines this price through a machine-learned model of the product's sale prices within the last 90 days. This is all genuine LEGO ® i have Sorted through each bag and removed non LEGO ®, Your bag will be 99% LEGO ®, it is also safe for kids (Not for ages 3 or younger!). ALL COLORS SHAPES AND SIZES OF LEGO. Chinese Lunar New Year's LION DANCE. LEGO Limited Edition. 2019 ASIA EXCLUSIVE. Never been displayed and played ! This is a limited edition Authentic Lego item. 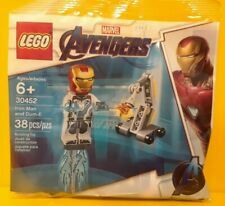 LEGO 40334 Avengers Tower Iron Man Marvel Super Heroes Limited Edition. Item is in mint condition, box is mint 10/10 condition and with sharp edges. Lego Star Wars Darth Vader Bust 75227. Target Red Card Exclusive. This is the Lego Digital Designer model / LDRAW model of my giant, rigorouslydetailed Star Wars Super Star Destroyer -- Executor. LDD can't handle 71,000 pieces, so you'll get it in halves. TOP/BOTTOM/LEFT/RIGHT. Lego 774Pcs City Fire Station Truck Helicopter Firefighter plus Minis Buildings. This Saves cost for you and we have extra money to choose the faster logistics channel,your prince or princess will receive the toy soon. Condition is New. Turn to the Dark Side with the LEGO Star Wars 75227 Darth Vader Bust! New LEGO Star Wars Darth Vader Bust. Great addition to any LEGO Star Wars collection. Brick-built respirator. LEGO Avengers Tower -Marvel. Hard to find. This is not a LEGO® Product. LEGO is a trademark of the LEGO Group, which does not sponsor, authorise or endorse this product. Display stand no.3 for Lego 75105/7965 Millennium Falcon -36⁰ angled. Display stand angled 20⁰ no 2 for Millennium Falcon. A new force has entered Clone Wars on the side of the Separatists - the Mandalorians! Fight off the clone troopers with the Mandalorian Army! Features Mandalorian speeder, blaster turret and 5 weapons. Piece Count: 560pcs. This is a perfect addition to your collection! Instruction book included. All products are quality checked. Note: Do not eat. Avoid high temperature sources. We will be happy to resolve any issues you may have in a cordial and friendly manner. LEGO FRIENDS OLIVIA'S HOUSE #3315 PUT TOGETHER ONCE COMPLETE SET . Condition is Used. Shipped with USPS. Shipping for this auction item is $15.00 within the United States. International rates negotiable. Thank you for your interest in this auction item. 75240 Major Vonreg's TIE Fighter (no minifigs). - New Star Wars Resistance set and minifigs: 75240 Major Vonreg's TIE Fighter. This red souped-up fighter is very much reminiscent of the infamous Red Baron of World War I. SEALED LEGO #30447 Captain America's Motorcycle MARVEL Polybag Set W/Minifigure! Whether you have a child or are an adult enthusiast and collector, LEGO makes many sets and toys for all levels of builders. LEGO sets range in size from a handful of pieces to kits numbering in the thousands of blocks. LEGO toys cover a range of types, from buildings to ships to vehicles. What ages are LEGO toys for? LEGO makes building toys for children of all ages, including adults. DUPLO: DUPLO sets are designed to get babies building from the age of 18 months all the way up to 5 years old. These LEGO bricks are much larger so that they are easier for little hands to maneuver and do not pose a choking hazard. Many of these sets feature character favourites like Cars, Disney princesses, and Batman. Juniors: Juniors sets are for kids ages 4 to 8. These sets feature traditional LEGO bricks, but the sets are smaller and easier to build. These sets can introduce children to building by following instructions. Other Sets: Most other sets are for kids ages 8 and up. Some sets are geared toward more experienced builders, such as Technic and Expert level builds, and offer more advanced building challenges. What are some of the LEGO themes? 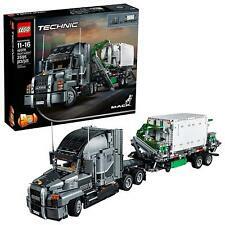 LEGO City: LEGO City sets feature community workers and helpers with fun LEGO City buildings and vehicles. You can use these sets to create a LEGO City scene. There are LEGO City sets with police officers and bad guys to catch. Or take your police on the go with a mobile police unit. Airport sets feature airplanes and helicopters. The Fire Department LEGO City set has a fire truck and fire helicopter. Sets to complete your LEGO City include a bus station, cargo truck, and a train. Star Wars: There are a multitude of Star Wars sets covering scenes, ships, and characters from all the movies. Star Wars fans can recreate the entire galaxy. DC Super Heroes: The DC Super Heroes kits feature comic book favourites like Batman, Superman, Wonder Woman, and many more. There are also playsets and vehicles to recreate your favourite scenes. Friends: The LEGO Friends are a group of girls who live in Heartlake City. Each of the girls has a particular interest like animal rescue, science, or performing arts. The girls go on adventures, such as to the jungle for an animal rescue mission or to a ski resort for a fun time on the slopes. These sets feature mini-figures, houses, buildings, and vehicles. Architecture: For older or more experienced enthusiasts, the Architecture series allows you to build famous landmarks from around the world such as the Louvre, Buckingham Palace, and the White House.